The Front Cover Of The Unfinished Sympathy Single Release. Note that the “Attack” had been dropped at this point. Unfinished Sympathy began as a fugitive melody floating around in Shara Nelson’s sub-conscious during the sessions for Blue Lines. When co-producer Jonny Dollar(Sharp) accidentally heard her humming the melody to herself, he urged her to sing it to him and loving the melody so much he hastily arranged a late-night jam in the studio – just a keyboard and drum machine with singer Shara Nelson extemporising her melody she had come up with on the day to music. Other Massive Attack members then began adding their own contributions to the song, with Mushroom’s DJ skills perhaps most notably adding that extra something to the song with his scratching and sampling qualities. 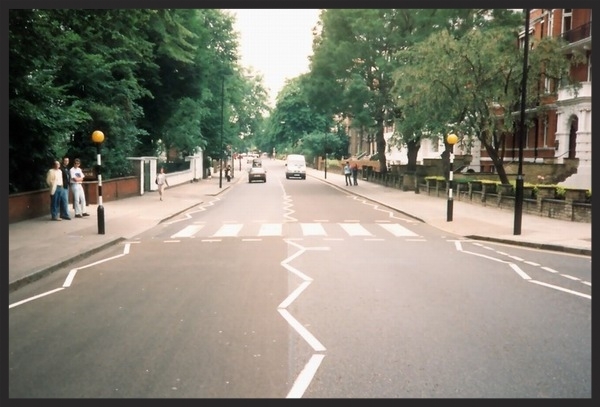 The billowly string arrangement, which was the final part of the puzzle was the brainchild of Jonny Dollar, who first laid down synthesized strings, then brought in a 40-piece string section to dupe the part, conducted by string arranger Will Malone in none other than the famous Abbey Road Studios in London. Abbey Road Studios in London, where Massive Attack along with arranger Wil Malone, scored the string section for Unfinished Sympathy. This is the only Massive Attack single (or any release for that matter, besides a few rare copies of Blue Lines) to actually not bear the name Massive Attack but instead went under the name “Massive”. The “Attack” was forcefully dropped by Massive Attack at the beginning of 1991 due to pressure from their record company, who were fearful that they would not get any radio airplay as the term “massive attack” was sensitive at the time due to the Gulf War. This name change lasted for a period of 6 months but after which the Unfinished Sympathy single was never re-pressed meaning that only the Massive is on all copies of it. The photo of the bandaged hand featured on the front cover of the single release of Unfinished Sympathy, is that of Claude Williams (aka. Willy Wee). He was a previous member of The Wild Bunch and also contributed vocals to Five Man Army. The faint voice that is heard near end of the song saying the line “I Dunno Where This One Came From”, is likely either spoken by Mushroom or by the executive producer of Blue Lines Cameron McVey. Massive Attack would not record any more music in Abbey Road Studios in London until almost 15 years later where the strings for Live With Me were recorded. Deborah Miller, live vocalist on Unfinished Sympathy. Unfinished Sympathy has always been a signature tune for Massive Attack, so not hearing it at their live shows would be quite sacrilegious. It is played on nearly every show from every tour like clockwork and is always at the end of each setlist – typically the penultimate song played. Because Shara Nelson has never toured with Massive Attack, Deborah Miller is the stand-in vocalist for all of the Shara Nelson album tracks, including not only Unfinished Sympathy, but Safe From Harm and Daydreaming. The exception to this however was on the 2004 and 2008 tours, when Deborah Miller was unavailable for the entire tour and was replaced by singers Hazel Fernandez (from Jamiroquai) and Yolanda Quarty (from Phantom Limb) for those respective tours. The strings heard on the song, for live performances are normally synthesized electronically. Only on the 2003 and 2008 tours, when Massive Attack had a dedicated violinist(s), on all their shows was this not the case. Craig Armstrong would also on a few select dates in 1996, provide a string orchestra conducted by himself to further add to the live performance of the song. Paul Oakenfold Mix – Paul Oakenfold, who would later become one of the premier trance DJ’s in the world, gives the remix treatment to Unfinished Sympathy. He would later go to state that Unfinished Sympathy was his favourite song of all time. He would also remix for Massive Attack the upcoming single Safe From Harm and Be Thankful For What You’ve Got for the Massive Attack E.P. Included on all single releases. Paul Oakenfold Instrumental Mix – The instrumental version of the Paul Oakenfold Mix is exactly that, an instrumental without any vocals but otherwise the same. Included only on the 12″ single release. Nellee Hooper 12″ Mix – Former Wild Bunch member and soon to be co-producer of Protection, Nellee Hooper offers Massive Attack his first dance floor friendly remix. He would later on also remix Safe From Harm and Hymn Of The Big Wheel. Included only on the 12″ vinyl single release, until the arrival of the Singles 90/98 Box Set where this remix was included on CD for the first time. Nellee Hooper Instrumental Mix – The instrumental version of the Nellee Hooper Mix is exactly that, an instrumental without any vocals but otherwise the same. Included only on the 12″ promo vinyl, until the arrival of the Singles 90/98 Box Set where this remix was included on CD for the first time. Nellee Hooper 7″ Mix – This is a truncated version of the 12″ mix. Included only on the 7″ vinyl single release. Instrumental – The instrumental version of the regular version of Unfinished Sympathy is exactly that, an instrumental without any vocals but otherwise the same, except that the last minute of the song is cut off unexpectedly. Included on all single releases. Unfinished Sympathy uses a sample from the song “Flowers Of The Sea” by Era. It appears primarily on their 1988 release Infinity. It is not credited officially by Massive Attack. Apart from this aforementioned sample, Unfinished Sympathy also uses a sample from the song “Planetary Citizen” by Mahavishnu Orchestra. It appears primarily on their 1975 release Inner Worlds. It is not credited officially by Massive Attack. This last fact actually led Massive Attack into trouble with John McLaughlin, the main man behind Mahavishnu Orchestra whose vocals were sampled directly (the “Heh, Heh, Heh” vocal sample heard throughout Unfinished Sympathy)” without his permission. In the end though he dropped the allegation without too much fuss, unlike what would happen with Massive Attack later on in their careers when they would again face legal proceedings again, regarding uncleared sample usage in Black Milk. Soul diva Tina Turner covered Unfinished Sympathy for inclusion on her album Wildest Dreams which came out in 1996. The Belgian pop group, Hooverphonic recorded a stirring, orchestral cover of Unfinished Sympathy that appeared on their 2012 all covers album “Hooverphonic With Orchestra”. Unfinished Sympathy was filmed on Pico Avenue, Los Angeles the afternoon of 22nd January 1991. Baillie Walsh, the director of the now classic “one-take” promo clip for Unfinished Sympathy. The video for Unfinished Sympathy is generally regarded to be the very first promo music video to be shot in one take. Massive Attack would repeat this one-take technique later on with the video for Protection. It was during the filming of Unfinshed Sympathy that Massive Attack were notified by their record label on the decision to pressurize them into dropping the “Attack” from their name and become simply “Massive” due to media censorship at the time over the Gulf War. The original ending conceived for the video involved a wide angled camera shot that would gradually move up on a crane above the housing levels of the street. Because the video had to be shot multiple times on the same day, the cameraman was too tired to achieve that particular ending shot as envisioned and instead the production crew simply opted for a quick fade-out instead. Some internet websites list the famed Hollywood director David Lynch as being the director of the video for Unfinished Sympathy. However this rumor started, it is false; as David Lynch has never had any affiliation with Massive Attack. The video Unfinished Sympathy was intentionally referenced and maybe even spoofed, in director Walter Stern’s promo video for The Verve’s Bittersweet Symphony in 1997. You can watch said video via YouTube by clicking here. Ironically, Walter Stern would then go on to direct three videos for Massive Attack, with them being Risingson, Teardrop and Angel. Baillie Walsh had previously directed for Massive Attack the video for Daydreaming. He would later go on to direct the videos for Unfinished Sympathy and Be Thankful For What You’ve Got. The Verve’s “BitterSweet Symphony” promo video used Massive Attack’s Unfinished Sympathy promo video as an inspiration in the making of their own. Watch that video here on YouTube.